Hand-crafted from the finest bronze stone, the Florida Lux Desk will create a statement in any home office or study. 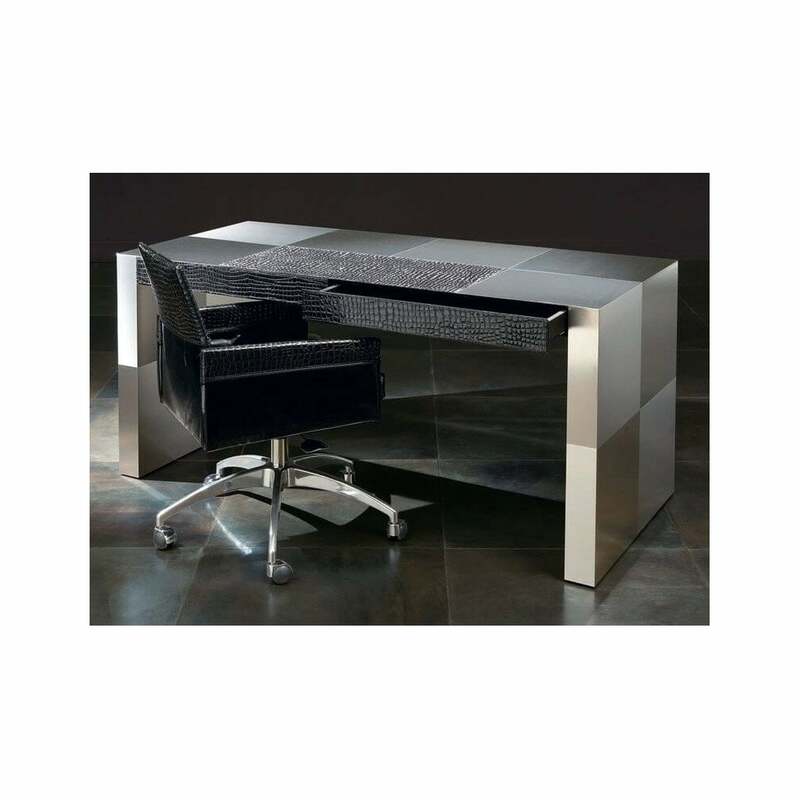 Exuding luxury Italian style, the desk is designed with a simple, solid frame that lets the material become the focus. Each panel of bronze is entirely unique, polished to create a mirror shine for maximum impact. Florida features two slim drawers upholstered in beautiful Pelle leather for a contrasting look. The drawers can be used to store your favourite stationary as well as essential items for long days at the office. Style with the Dolly Chair and Madrid Table Lamp for a home office scheme that is sure to impress. Ideal for smaller spaces, this compact desk will suit a variety of interiors from a modern apartment to a period townhouse. Make an enquiry for more information.